Unless you are a frugal spender, you will need to obtain credit at some point in your life. Improving your credit rating generally entails the wise use of credit cards. However, not everyone is approved for credit. Therefore, they need to turn to an alternative solution. 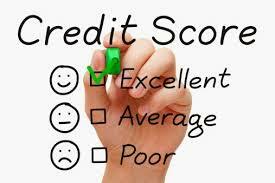 A good credit rating is important as it gives you more access to money. That’s because a good credit score enables you to purchase auto and home insurance at a reduced price and obtain installment loans at a lower rate of interest – all which can translate into a savings of hundreds of dollars annually. So, if you want to build up your score without the use of credit, you have to look at your recurring bills, such as the money you pay towards your utilities, cable, and rent. Pay your utility bills, such as your electric, gas, cable and phone, on time as these obligations are frequently reported to the credit agencies. Just make sure that your payments are reported so you can receive credit for your efforts. Naturally, you will want to make your payments on time. Otherwise, you will not reap any benefit in this respect. You can also boost your credit score by becoming an authorized user on a family member’s or friend’s credit card. Just make sure the individual is a good payer. Any time you link yourself on someone else’s account, your own credit status is affected by how they their bills. You may also think about opening a joint account – again, make sure that the other party is financially responsible. A secured card can also help you develop a credit history – or rebuild your credit standing. The credit limit is established on the card by making a deposit. For example, most cards ask that you put $200 in a savings account to set up a credit line. Just make sure the card issuer for the card reports your payment activities to the two major credit bureaus. Don’t commit to obtaining the card until you are certain the card provider reports payment activity. A charge card account, such as American Express, can help lift up a lowered score as well. Unlike a credit card, a charge account requires that you pay off your balance each month. In other words, you cannot carry a balance. Therefore, you can prove your creditworthiness by securing a charge account. Taking out a loan will help you raise your score too – as long as you are paying on the financing. Once you pay off the loan, however, the lender stops reporting your payments to the agencies. However, as long as you are in debt and are making your payments on time, you can work towards elevating that all-important credit standing.